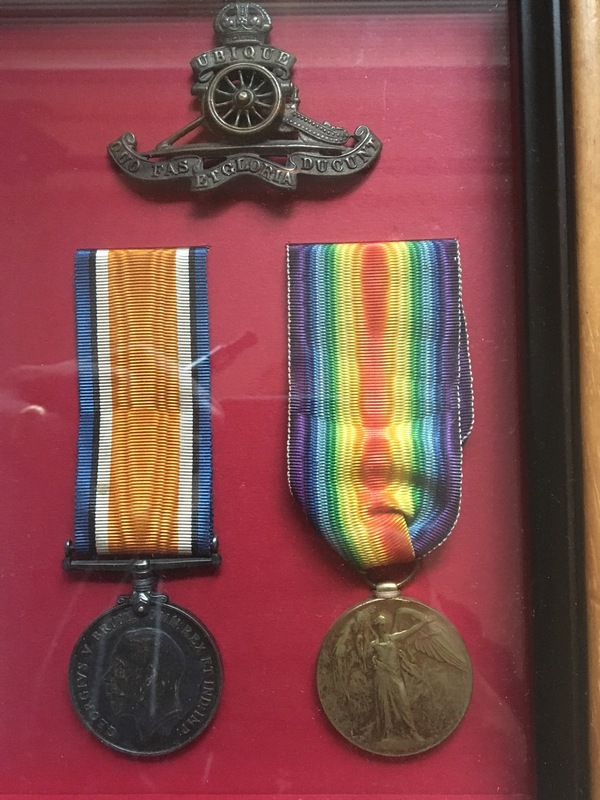 A WW1 medal group to 208555, Gunner John Hart who served with the Royal Garrison Artillery. Hart's Medal Index Card, which can be viewed by clicking on here (if you have access to Ancestry. although a paper copy will be provided) gives no indication as in which theatre Hart served and I have not been able to trace any service records to this man. 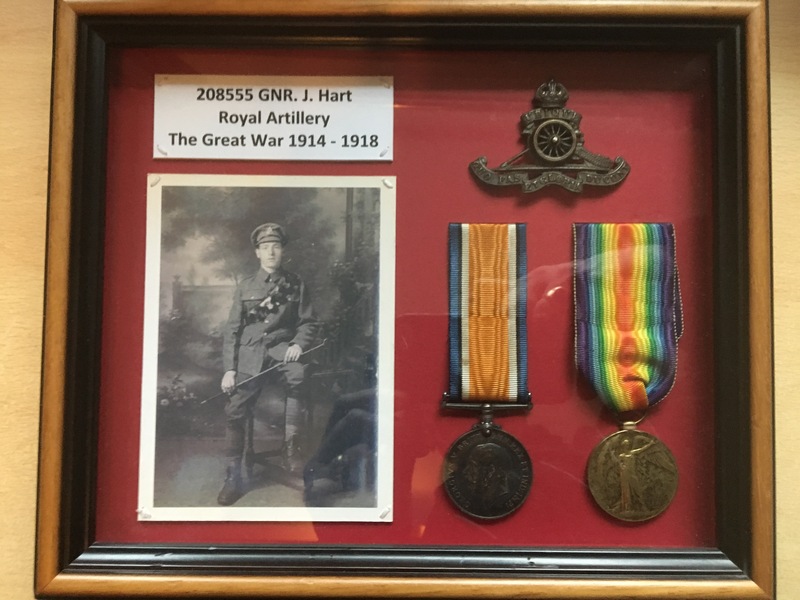 British War Medal and Victory Medal named to 208555 GNR. J. Hart. R.A. 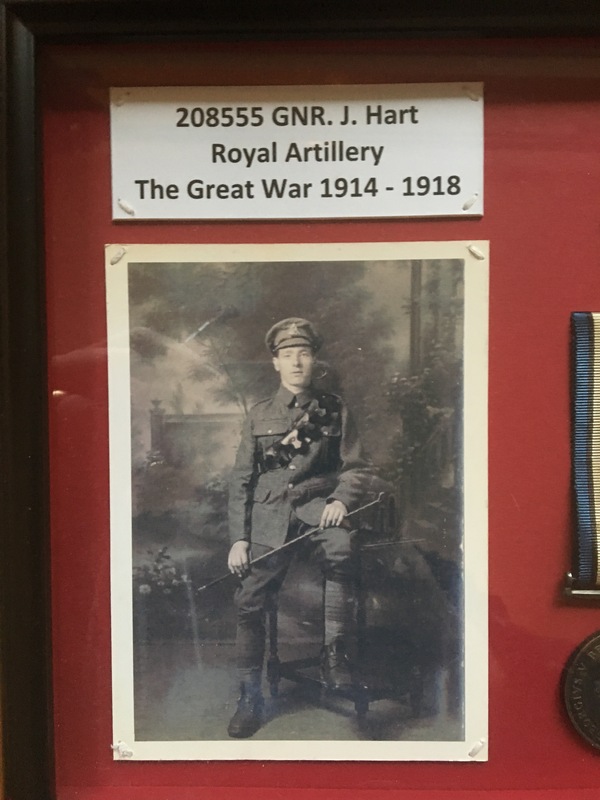 The medals are framed along with their original ribbons and the frame includes an original swivelling style R. A. cap badge and a studio portrait of Hart. Price £50 - Please read the terms and conditions of sale below.